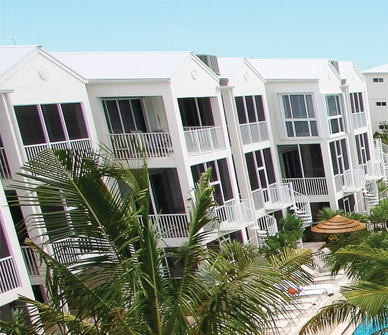 The entire destination of The Florida Keys offers a very diverse environment for eco-tourism. 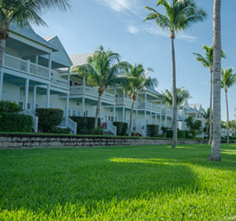 Experience the unique and spectacular ecology of the islands with endless Florida Keys attractions. You will view the extraordinary Bird species that inhabit the tropical islands and fish the local waters. Get up close while kayaking through the crystal clear waters that allow up to 60ft of visibility most days. You can see the ocean floor and all of the inhabitants around the only living coral reef in North America. 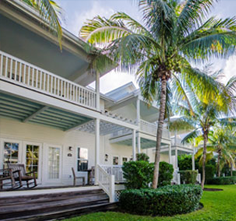 Spend a few hours or the entire day and you will be amazed by the natural beauty of the Florida Keys. Your adventure is about to begin! The waters around Key Largo are an ecologically fascinating place where freshwater from the Everglades mixes with the saltwater of Florida Bay. Everglades National Park abuts the near-shore waters of Key Largo to the west providing a home for an array of wildlife including bottle-nosed dolphin, crocodiles, sea turtles, alligators, and manatees. DIVE IN Watersports Tours Our guided waverunner tours are the “Best on the Island.” Our TWO HOUR Florida Keys tours include a thorough orientation, open ocean riding, viewing the awesome reefs, free riding time, zipping through the mangrove trails of John Pennekamp State Park, Dolphin watching and so much more. We will take you where you want to go, to see what you want at a pace that is right for you. We typically see tropical fish, amazing corals, Rays, Turtles and Dolphins. Near Islamorada at Long Key State Recreation Area await nature trails for wildlife discovery, while Windley Key Quarry Fossil Reef State Geologic Site houses acres of fossilized coral and an environmental center. Robbie’s of Islamorada Robbie’s Eco-Tours are a perfect way to experience the raw beauty and wonder of the Florida Bay. Our two-hour Florida Keys tours take you on an excursion through passages among the sea grass beds that rim the many protected shallow bays. We take you among the hundreds of small, uninhabited mangrove and hardwood hammock islands, which host an amazing variety of wildlife and create the island network of the Florida Bay. Like nature, our Eco Tours are not scripted. Rather, we will follow your interests, stopping along the way to describe any natural occurrence that presents itself, often at such close distance that binoculars are just in the way. Our guides have a very well-developed understanding of what makes this part of Earth work, and enjoy sharing their knowledge to educate and inform you. Robbie’s offers Eco Tours-Historical Excursions and Nature Watch Sunset Cruises about the Islamorada Queen. Turtle Hospital The only state-certified veterinary hospital in the world for turtles, visitors can view the healing hands that rehabilitate. At this Florida Keys attraction, price of admission includes a 45-minute educational guide of the hospital with a presentation and a 45-minute guide through the sea turtle rehabilitation. The Turtle Hospital is a non-profit, charitable corporation in the Middle Keys that rehabilitates injured sea turtles and returns them to the wild, educates the public through outreach programs to local schools, conducts and assists with research that aids the sea turtles and works toward environmental legislation which makes the beaches and water safe and clean for sea turtles. Please note this is a working hospital therefore the guided educational experience is subject to cancellation due to turtle emergencies and/or weather. 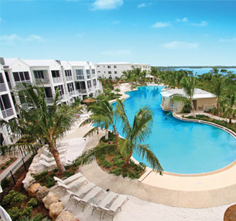 Crane Pointe Hammock & Natural History Museum History and nature come together at Crane Pointe – here nature trails that are home to butterflies, tree snails, sea turtles, Key deer and tropical fish meet Spanish explorers historical Keys’ homes. The Keys’ colorful inhabitants are also just a touch away at the Wild Bird Center and the newly installed Creature Feature and Marine Touch Tanks, home to various species of Keys fish and invertebrates. Guided Tour Kayaking is an exciting way to experience the beauty and wonder of the Florida Keys. Our new, top quality kayaks are stable, easy to use, and fun! Whether a beginner or seasoned paddler, everyone can enjoy a kayak adventure. Guided Tour & Boat Trip A relaxing, easy way to see and experience the backcountry islands and mangroves of the Florida Keys. Enjoy a relaxing ride to and from your kayak launching point aboard our 34′ excursion vessel with this Florida Keys tour. While most of the waters around Marathon are open to fishing, some areas have been set aside purely for eco-tourism and fish viewing by divers and snorkelers. Sombrero Reef, one of the most beautiful sections of North America’s only living coral barrier reef, lies several miles offshore and is protected by the Florida Keys National Marine Sanctuary. Marathon is also home to the Dolphin Research Center and the Turtle Hospital, operated in an effort to preserve two of Florida’s most famous marine creatures. In the Lower Keys, the National Key Deer Refuge – a large expanse of mostly undeveloped pinelands – protects the diminutive and sometimes elusive Key Deer. Guided Kayak Tour – Lazy Dog Charters Relax and explore the shallow, calm, blue-green waters, exploring mangroves and the wildlife of the Key’s inhabitants. See tropical fish, crabs, sea stars, jellyfish, sea cucumbers, sponges and various aquatic birds while being guided in a kayak at a leisurely pace with this Florida Keys tour. 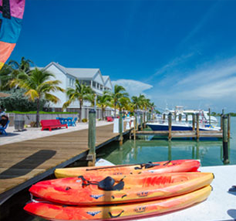 Kayak Tour – Lazy Dog Charters Enjoy the waters of Key West on your own. Rentals include a map of the local waters and places to explore. Private charters, customized trips welcomed. Pickups available. Glass Bottom Boat Reef Tour – Fury Water Sports Explore dramatic underwater vistas generally reserved for scuba divers from a glass bottom boat. 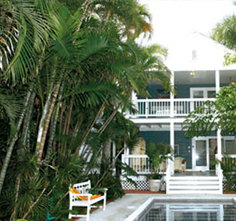 A wide variety of fish and other sea creatures await you as you gaze into the underwater world of Key West. Fury Catamaran Glass Bottom Boat offers a seated sun deck and air-conditioned, enclosed viewing area as well as restrooms and a snack bar.